Here’s a detailed write up of what has been going on. 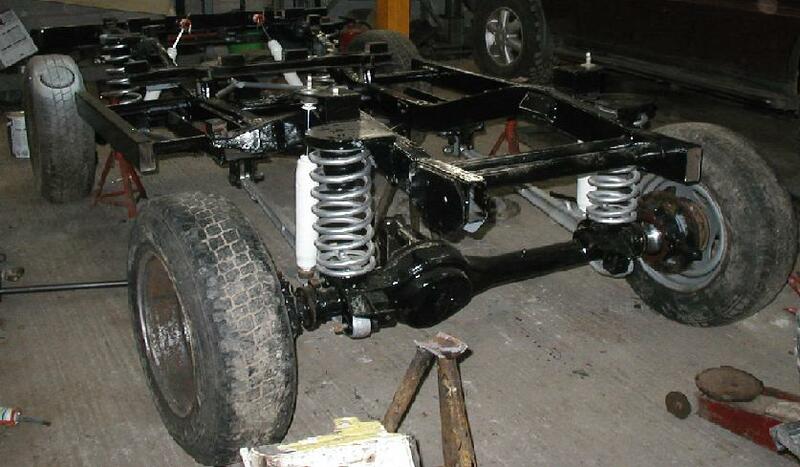 The chassis Has been welded up now and painted, It has rose joints on the links to the chassis offering a lot of movement compared to standard rubber bushes. 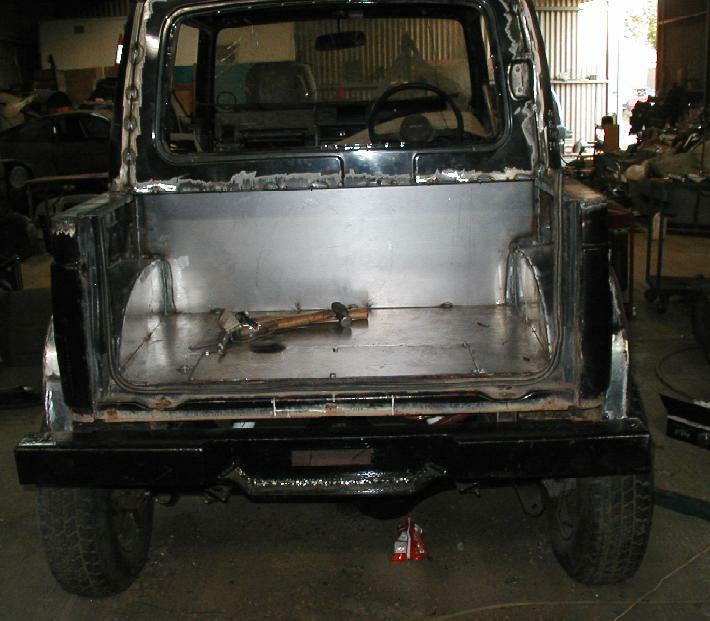 The axles are off a range rover classic. 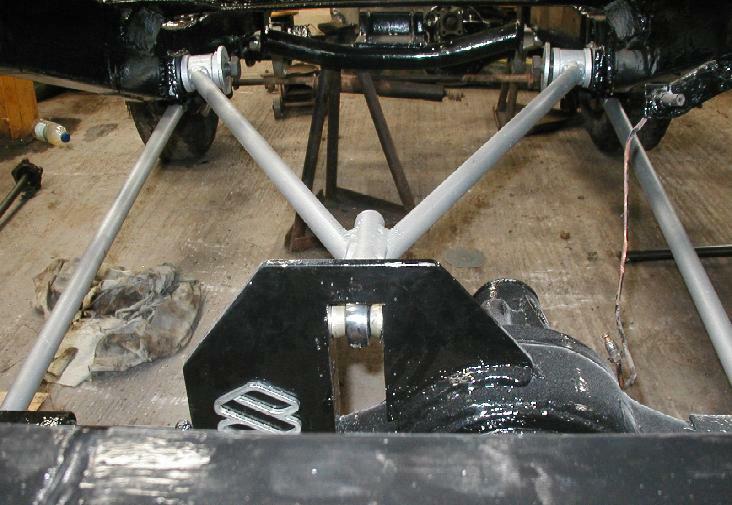 I have used bespoke trailing arms at the rear and modified radius arms at the front. 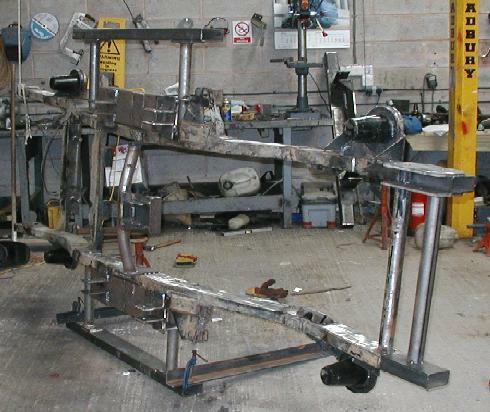 I have made mounts on the chassis to accept the radius arms and trailing arms and upper link for the rear axle, Plus new spring mounts on the axles and bespoke suspension turrets on the chassis. Also at the minute it has RR and LR coils (But i will be changing these for softer ones at a later date), the shocks are pro comp es9000,s. The suspension fully dislocates all round with my bespoke dislocation cones that i fabricated. 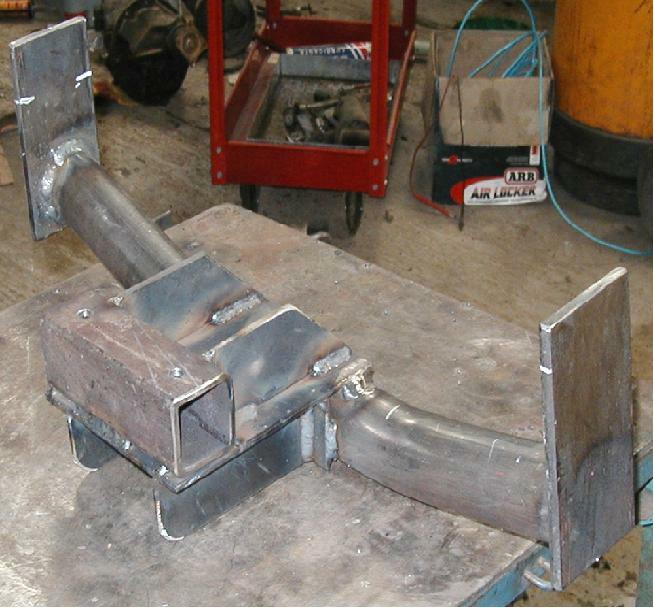 Dazz kindly donated a power steering box from a Mercedes G-wagon as it was just the thing for the job. The chassis has been lengthened by 9″ as the sump was too close to the front diff for my liking. I have custom made the rear bumper/winch trey and purposely made it a little heavier than normal to compensate for the light body on the rear and heavy engine upfront. All the fuel lines and brake line are in. I’ve used braided hoses for the chassis to hub connections all round for the brakes. The main fuel and brake lines are made out of copper with the final fuel connections being standard rubber fuel hose. I have made a bespoke propshaft for the front which has two wide angle UJ’s. To do this i had a piece of tube machined up to mate the daihatsu prop and slider to the rangey prop. The engine is a 2.8td. Its out of a Daihatsu fourtrak. To fit this on the Suzuki i have made a bespoke removable gearbox mount/crossmember (This is so the gearbox can be easily removed without taking an angle grinder to it.) As for the engine mounts, i removed the brackets from the chassis, cut them down a little and re welded them in the correct position. 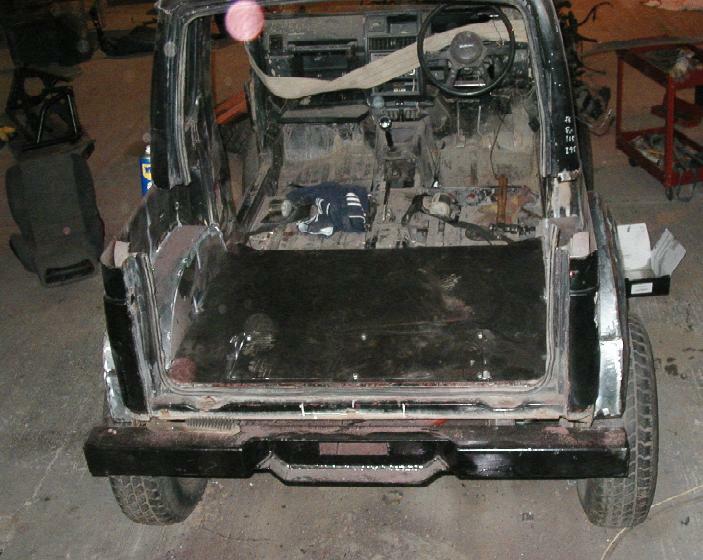 For the rubber i have used Land rover engine mounts and smaller ones for the gearbox mount. I had to chop a little out of the body to get the shell back on without it fouling the gearbox. I will be making a custom exhaust in the near future, this will just simply go out the rear drivers side. I have managed to wire up the engine and have it running. Although I’m trying to overcome a few teething problems with the alternator charge light. And trying to get the alternator to work. I will probably be wiring a new dash pod and loom from scratch, which shouldn’t be too hard (Hopefully). Future ideas for the the engine will be an inter-cooler, oil cooler, water cooled turbo and gas kit. I have also invested in a spare engine and box. 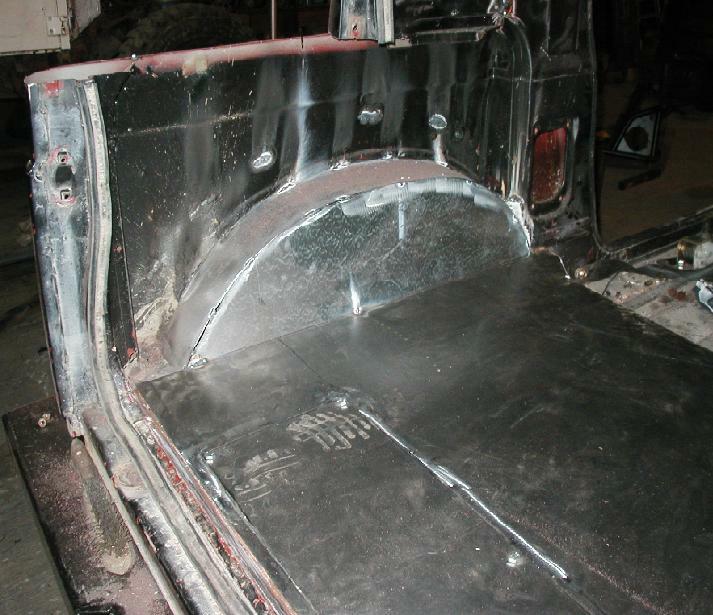 I have decided to go for a king cab style shell, this is to offer space in the rear for my fuel tank, second battery, winch (although i have made a removable panel to access the winch easily) and wet strops ect.. to get more space in the rear i have made a partition that is set back into the cab and then formed a “Parcel shelf”, this is an advantage as it feels more spacious inside compared to most trey back designs, the battery’s and fuel tank can still be mounted externally which is a lot safer than internally mounting them. Plus the seats can still be pushed all the way back for the taller variety of driver. 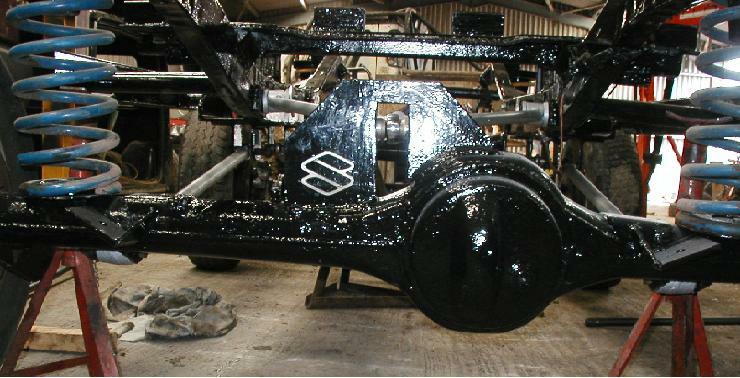 All the wheel arches are going/have been re-made due to the wider axle width and the old ones perishing. New and much stronger outer and inner arches have been bespoke made on the rear out of 1.5mm sheet galv. they will also have a little bit of rubber round the inner of them to help catch a little more mud and make it conform to SVA standards (Yes i am going to get it SVA’d eventually). The bonnet and wings will be extended 4″ to accommodate a radiator and intercooler but still leave space for en externally mounted front winch. The rear window is the top half of the original back door and the off cut has been used for the new fold-down back door. Also to stop mud and sh*t getting in the back i will be making a “Lid” for the rear. Any constructive comments/ suggestions welcome. Ill be updating more now I’ve figured out how to post topic’s! 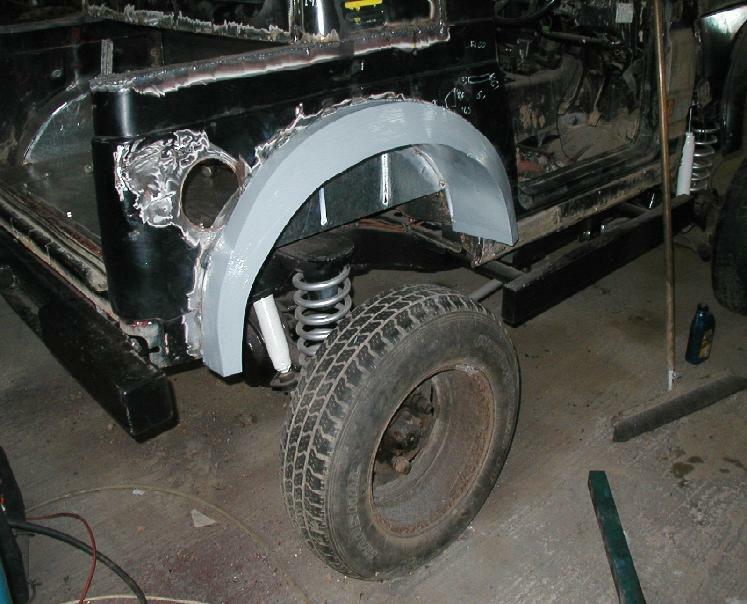 Been doing a bit more the the suzuki- Building the front end up, made new inner and outer arches and tried two of alexes landrover tyres on- A few more pics.- Think ill have to chop the rear arches out a bit more tho and move the axle back 4″ But the approach angle from the front is spot on!